Step 1 - Prep the nail by shaping, gently buffing and cleaning up cuticles. Step 2 - Apply the Naked Manicure Naked Base (basecoat). Step 3 - Apply two coats of Naked Manicure Perfector of choice or customize your look by layering perfectors (see Perfector Blending Guide). 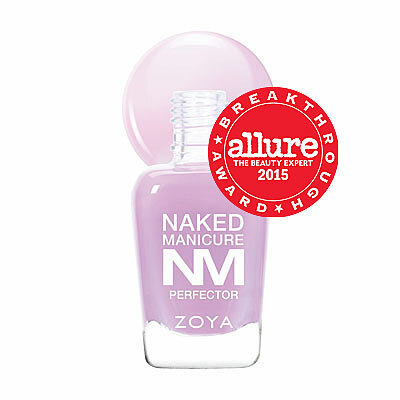 Step 4 - Apply Naked Manicure Tip Perfector along free edge of the nail to brighten, fill and finish. Step 5 - Activate Naked Manicure Satin Seal Top Coat by gently rolling the bottle between hands for twenty seconds. Step 6 - Apply one coat of Satin Seal Top Coat to blend, blur and seal the look creating the closest ever natural nail finish. Compatible with ZOYA Fast Drops (drying drops). For an optional shiny finish, apply one coat of Naked Manicure Glossy Seal over Satin Seal. Compatible with ZOYA Fast Drops (drying drops).